Welcome to the lives of insanely rich Chinese kids. I think we all felt a little pang of jealousy when we saw the lavish lifestyles of the characters in the recent hit film, Crazy Rich Asians. Fast cars, huge mansions AND a never-ending supply of designer brands handed to them on a silver platter? Sigh, a girl can only dream. It all may have even seemed a little exaggerated to some however the craziest thing about that film is that it’s actually, very accurate. Lifestyles that are a fantasy for us commoners, are very much a reality for many second-generation Chinese people. This has led to the rise of a phenomenon known as “Fuerdai” which refers to the children of the nouveau riche in China whose everyday choices have raised more than just a few eyebrows. It’s inevitable that having access to such a copious amount of money can result in some of these individuals getting a little carried away. 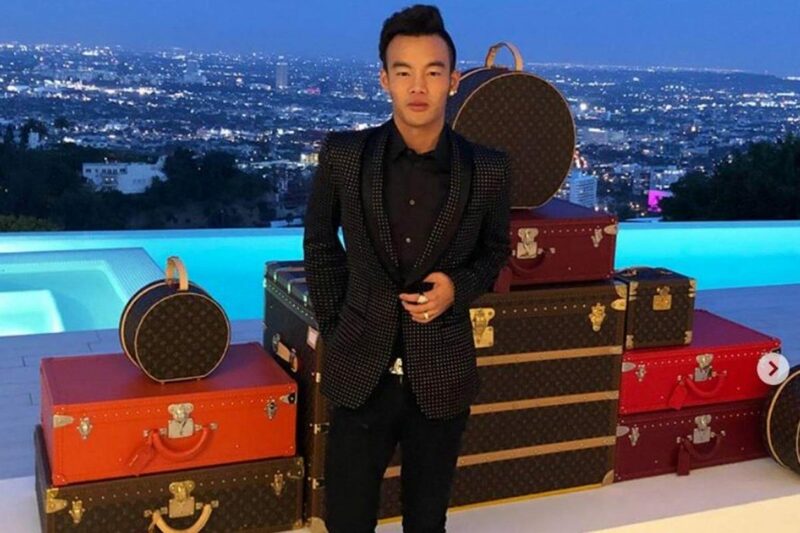 There has been no shortage of reports of these crazy, rich Chinese kids misbehaving or taking part in money-burning antics such as over-partying or buying their dog two gold apple watches. Others, however, have managed to take advantage of their status in a different way by using their easy access to big labels and creating a brand for themselves on social media. Meet Feng Fan, a young, female hyperbeast who’s streetstyle has changed the luxury choices Fuedais typically opt for. It’s almost always been about the Chanel, Gucci or Cartier labels with these wealthy kids however Fan has found herself more infatuated by the Supreme drops or the Balenciaga Triple S trainers. Her style has managed to win her more than 391,000 Instagram followers and upwards of 1.2 million on Weibo. Feng says she had always been interested in clothes as early as her school days when she would spend her spare time playing dress-up games on the computer, taking aesthetic pictures or browsing fashion magazines. The first domestic women’s fashion and lifestyle magazine including Outlook and Rayli had released in the mid 90s and it was during this time that Feng recalls her style was slowly developing. The constant progression of Feng’s style can even be seen in her Instagram profile where traces of her hyperbeast style can be seen increasing as the years go on. Her exposure has even allowed her to run a successful online store called FF Studio, where she is able to make huge profits by selling hundreds of popular clothing items. Feng belongs to a new generation of streetwear addicts who attract others of their kind and in-turn, create a community of life-long friends whose style and aesthetics brings them together. What do you think about Feng’s style? Are you a fan of the new hyperbeast trend? Let us know in the comments below.